Business owners know only too well how difficult it is to run a successful company. Areas of concern seem to be everywhere but one that frequently occupies the owner’s attention is financial management. Let’s explore four financial management tips that can increase the success of your company. 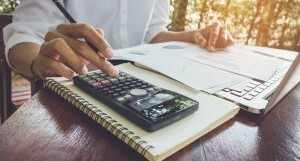 Some small business owners employ an aggressive tax strategy for their businesses. This strategy results in financial statements that reflect a company with less income than if the business owner had employed a banking-driven strategy for their business. Although this tax strategy may reduce tax payments, it also reduces the apparent ability of the company to produce profitability. Banks, other lending institutions and potential investors in the business will be less likely to lend to or invest in companies with financial statements that show relatively poor performance. Business owners must consider the long-term impact of selecting a tax-driven strategy for their business. Most business owners consider only two sources of funding—lending institutions or investors. It is true that these are the only external sources of funding. These sources of funding come with restrictions on the business. Lending institutions will want to include covenants and reporting requirements as part of the loan agreement. Investors will want some control over the business and will introduce reporting requirements as well. There is an internal source of funding, however, that comes with no covenants or reporting requirements. This source is the company’s own working capital. Many business owners do not manage their working capital (accounts receivable, accounts payable and inventory) as effectively as they could. 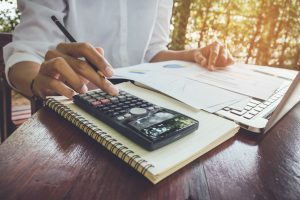 By introducing performance metrics on the components of working capital, many businesses can free up significant amounts of cash that they can then reinvest in the company. It is very easy to fall into the trap of pursuing any sales transaction. Each sale does increase the top line of the company. However, if the sales price is too low it will not generate an appropriate margin. The business owner has merely traded dollars while, at the same time, placed additional workload on its production and delivery team and set a price expectation for the customer. In this instance, the business owner has entered into a transaction—not created a lasting customer relationship. Successful businesses rely on long-term customer relationships. The foundation of these relationships is a high-quality, fairly priced product consistently delivered on time. Consistent communication between the business owner and the customer will focus the discussion on value delivered, not product price. When asked, many business owners can quote the sales and net income figures for their business for the previous year. Very few know how much cash flow their company generated for that same period, however. While the amount of sales and net income are good to know, the amount of cash flow is critical. Cash flow funds reinvestment in the business, payment of outstanding debt and the distribution to the owner. Additionally, it drives the valuation of the company—a fact of critical importance to the business owner looking to exit the business. As a business owner, make sure that you are aware of the cash your business is generating as well as the factors that you can manage that can increase the generation of cash flow. 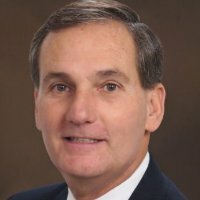 Tom Gentile is a founding partner with BeaconCFO Plus who has created successful business solutions for companies across multiple manufacturing industries. He has extensive experience in strategic planning, turnaround management, working capital/cash flow improvement, acquisitions and procurement. Tom regularly speaks to groups of business owners providing advice to improve their ability to generate cash flow.